A few years ago, one of my coworkers brought this in as a goodie for the staff. I looked at it with skepticism. Peppermint on popcorn did not appeal to me, but out of courtesy I tried it and proceeded to consume the remainder of the bowl (I ate lots and had no guilt about my gluttony). So then I asked her how she made it… her response, “a box of melted white chocolate, a box of candy canes and lots of popcorn”. 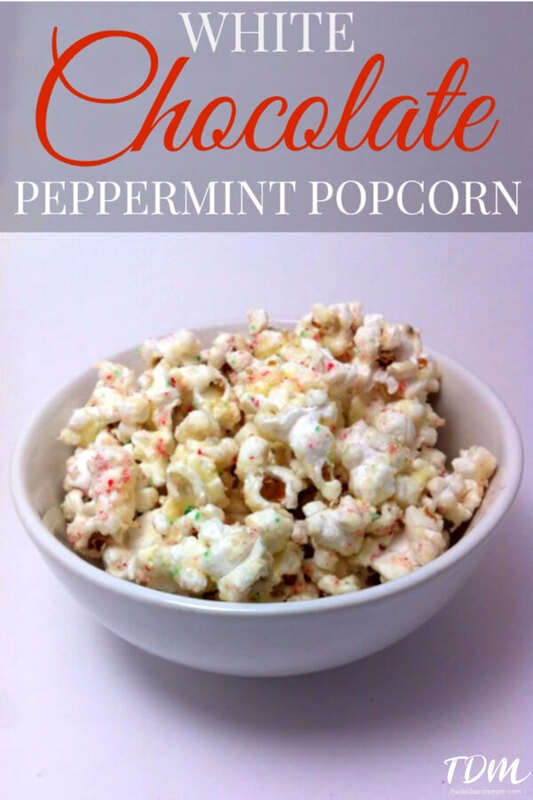 Several years later, I have perfected this chocolate peppermint popcorn recipe (measurements and all) and I am going to share it here with you today. Peel the plastic off of your 10 candy canes and place them in a plastic zippered kitchen bag. Seal the plastic zippered bag and place in another bag. Smash the candy canes with a hammer. If you think you've smashed them enough, smash them some more. Melt 6 oz of white chocolate in a double boiler. Pour the melted chocolate over the popcorn. Gently mix to thoroughly cover the popcorn. 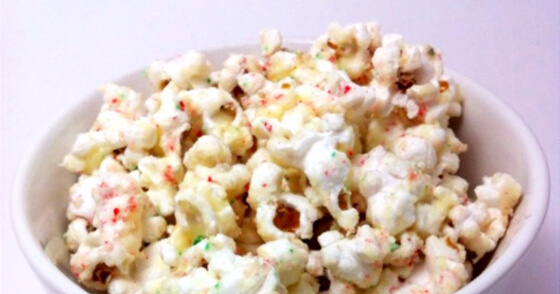 Sprinkle crushed candy canes over the popcorn and mix well. (I like to sprinkle the crushed candy cane through a sieve so there's no large hunks of peppermint on the popcorn). Spread out on prepared cookie sheet and let cool. That’s it! Simple, delicious, and highly addictive! It is delicious… and amazing! I’ve made it with milk chocolate and dark chocolate. Both are delicious (it just doesn’t look as pretty). I’ve never tried this! Sounds delicious. Oh Sanz… it is amazing. I need it every Christmas. It is amazing! You must try it! It is such a delicious treat! Try it out, I’m certain you will love it. Ok, I thought I’d commented on this and just saw that I didn’t (bad friend!). This looks soooo good! We love popcorn, and I love sweets, so it’s a win-win for us all! Thanks for sharing Jennifer! This sounds like an interesting twist on popcorn, never heard of it before. And I have left over candy canes! Oh JoAnn… it is delightful!